Brick House is a 40-acre farm in the north Willamette Valley specializing in the three traditional varietals of Burgundy: Pinot Noir, Chardonnay and Gamay Noir. The 29-acre vineyard is planted on the sedimentary soils of the Ribbon Ridge AVA. All fruit is estate grown and processed in the farm winery in accordance with national organic standards. The vineyards at Brick House have been certified organic by Oregon Tilth since 1990. In 2005, the farm received Biodynamic certification by Demeter. The first vintage was 1993. Production is 3,800 cases annually. 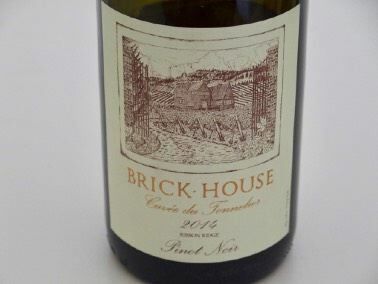 The Brick House Pinot Noirs have been highly lauded by the wine press. There are two premium Pinot Noirs: "Cuvee du Tonnelier" made from original Pommard close-spaced plantings and "Les Dijonnaise" sourced from Dijon clones planted in 1998. The winery is open by appointment except on Thanksgiving and Memorial Day weekends. 503-538-5136.